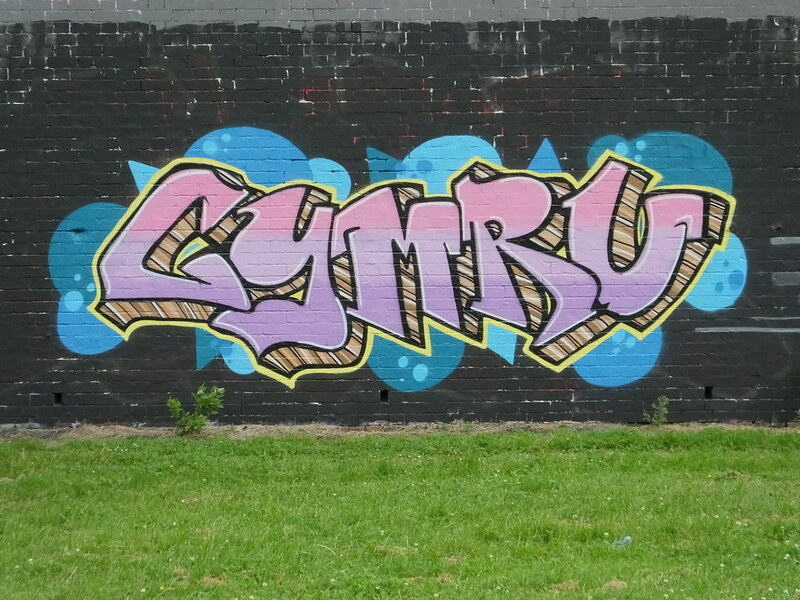 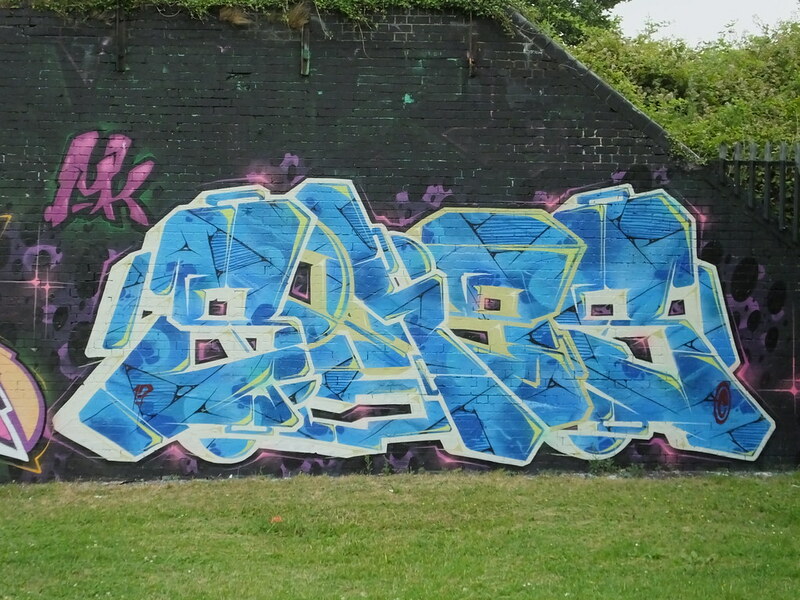 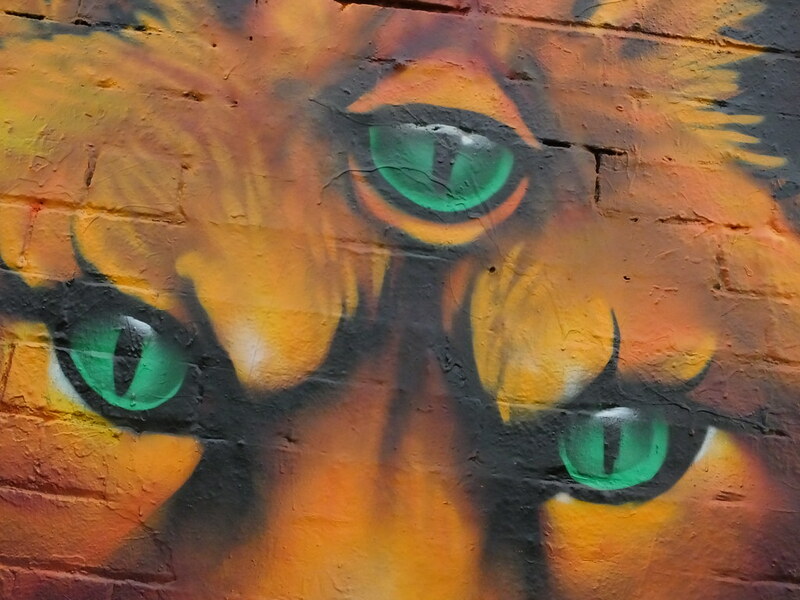 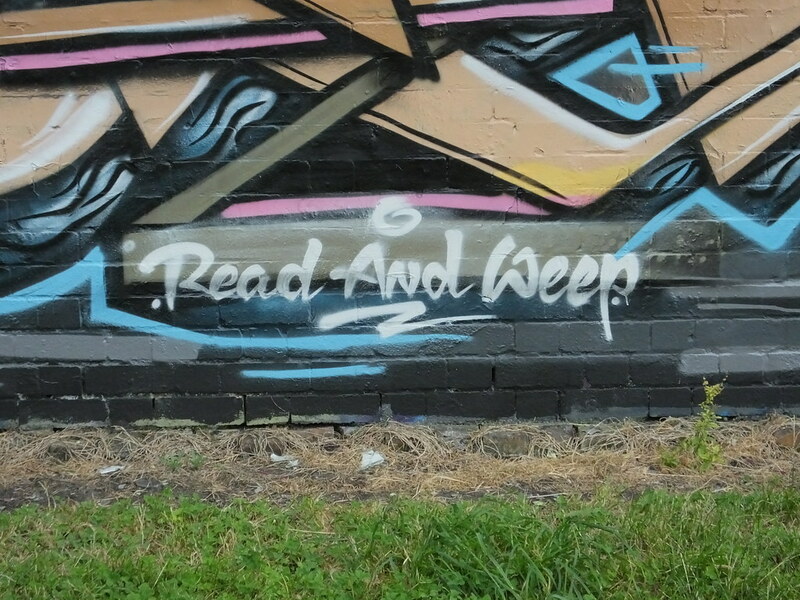 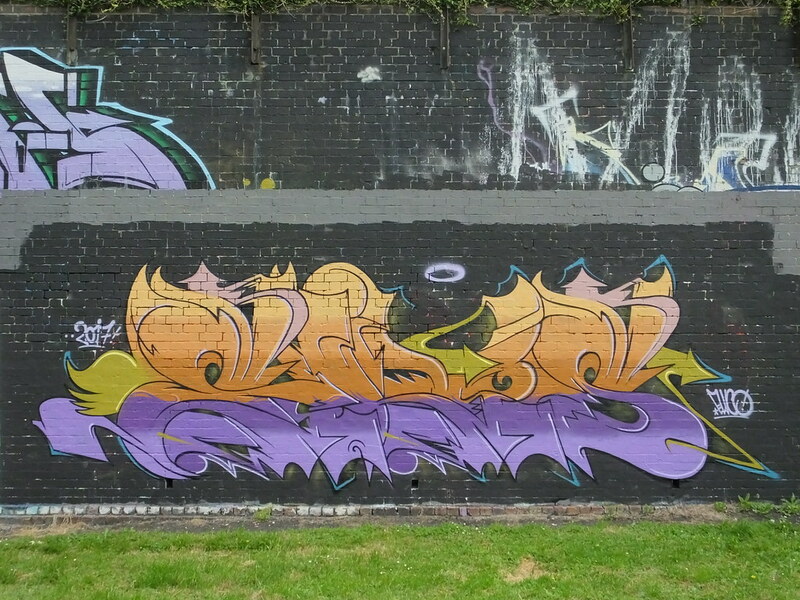 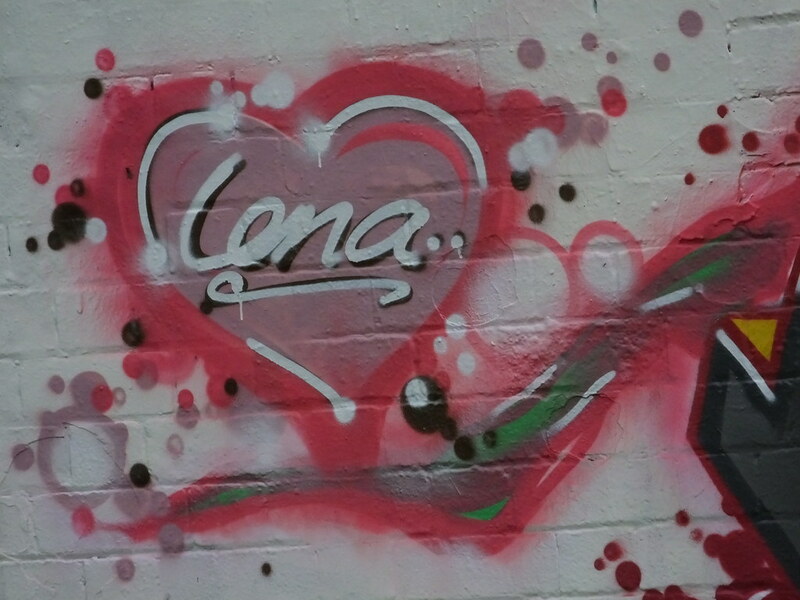 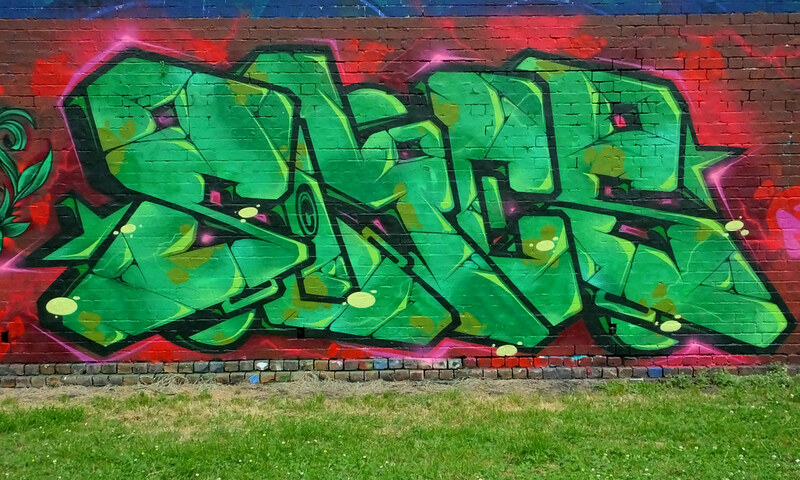 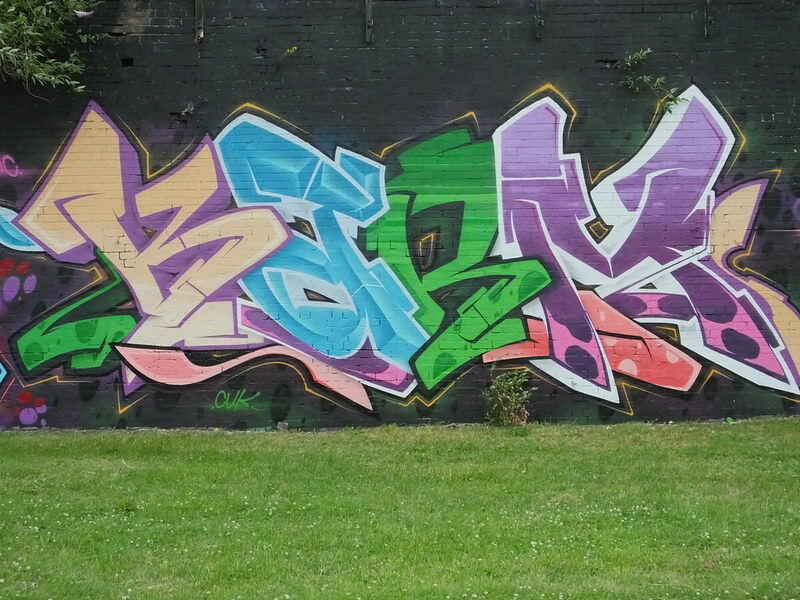 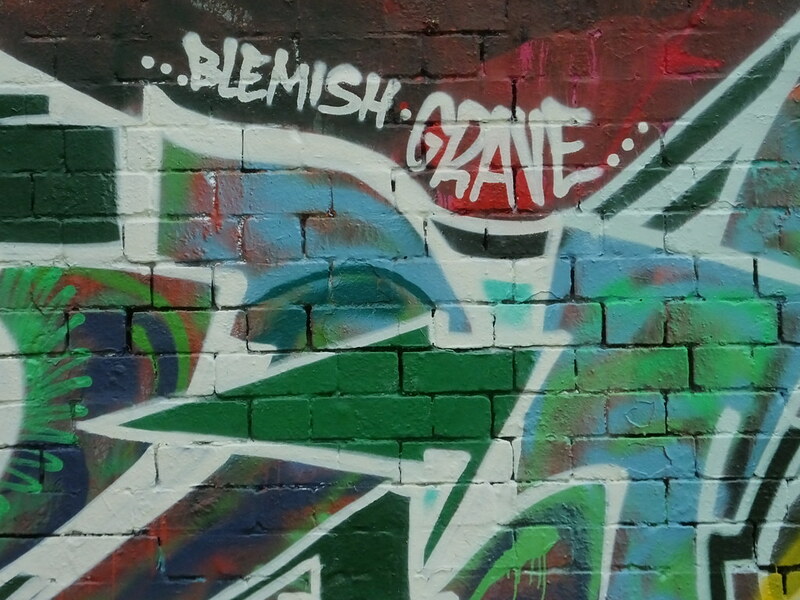 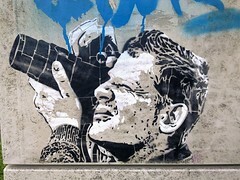 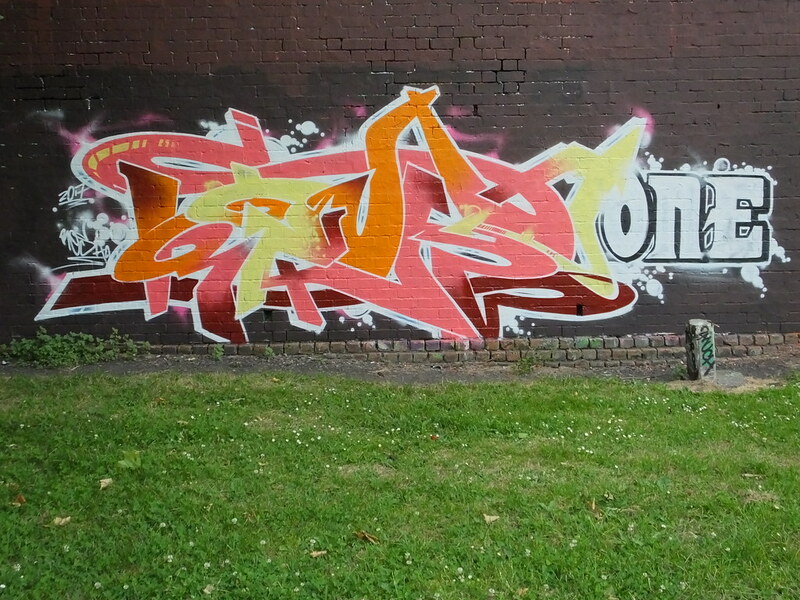 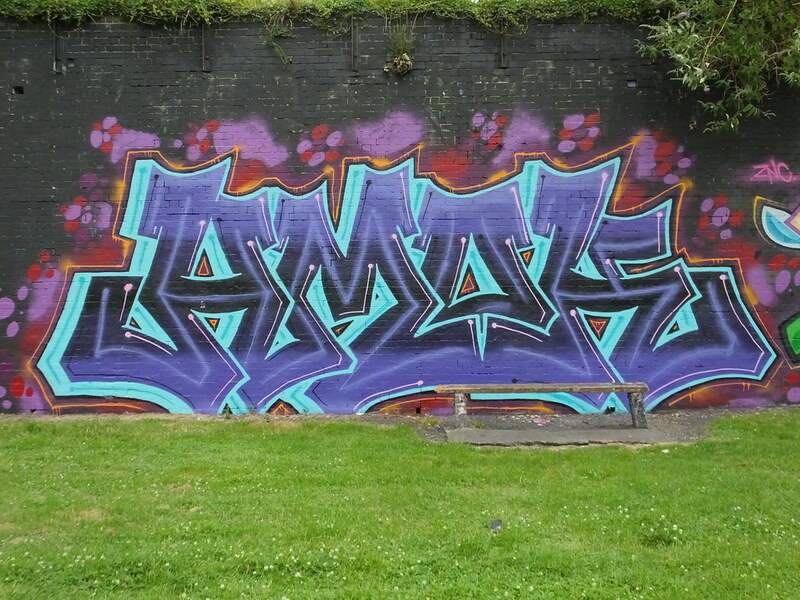 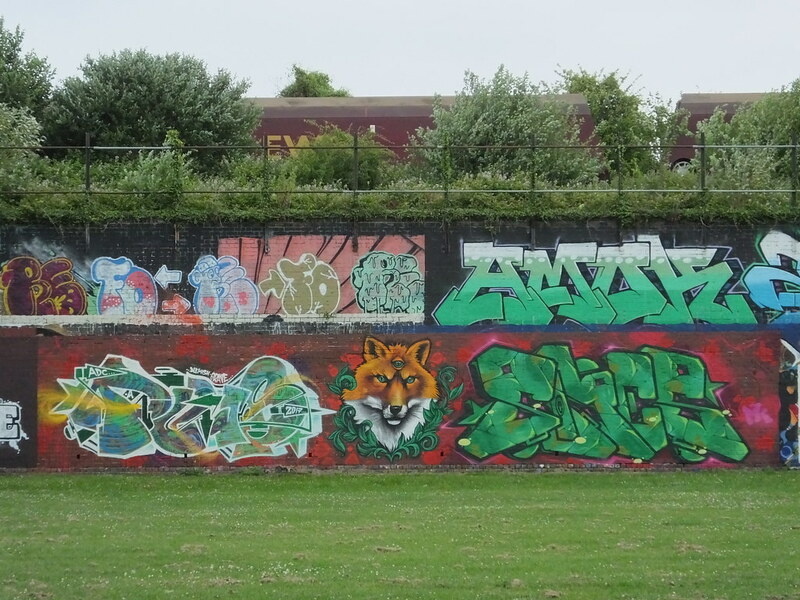 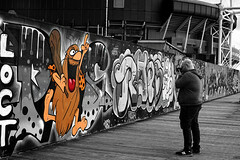 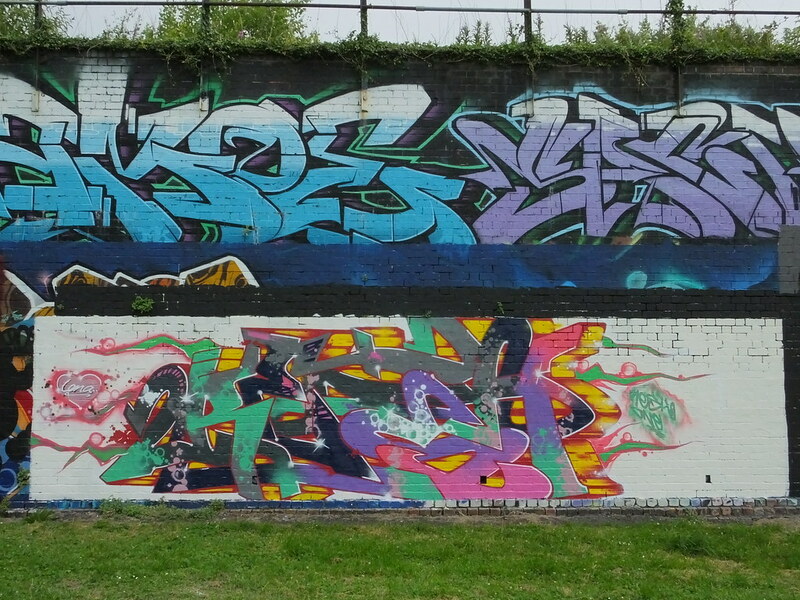 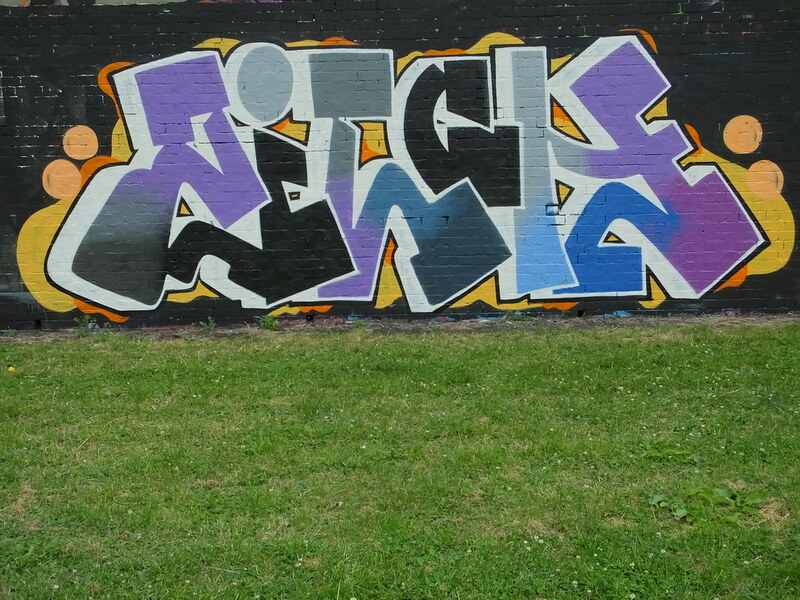 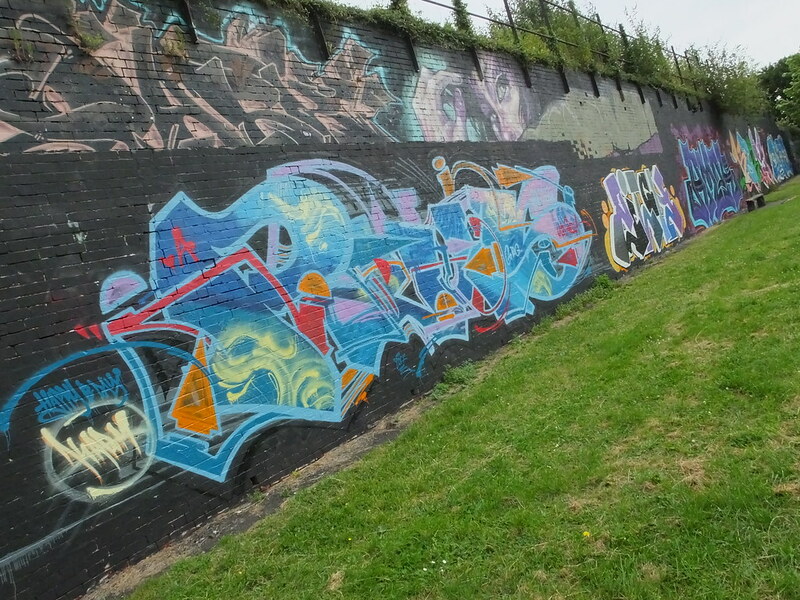 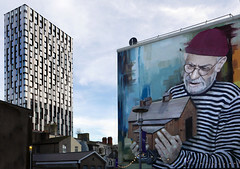 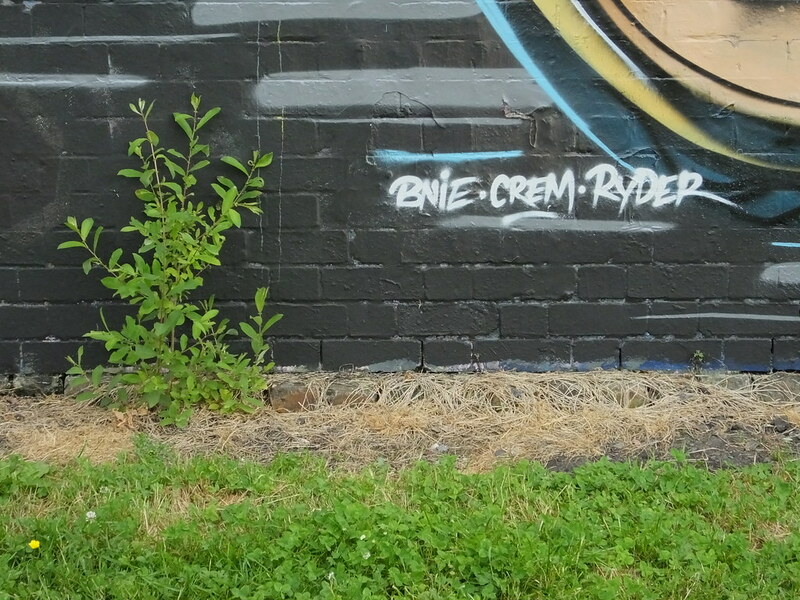 The latest visit to Sevenoak’s Park located in the Grangetown area of the city unveiled some new work along the length of the largest legal graffiti wall in Cardiff. 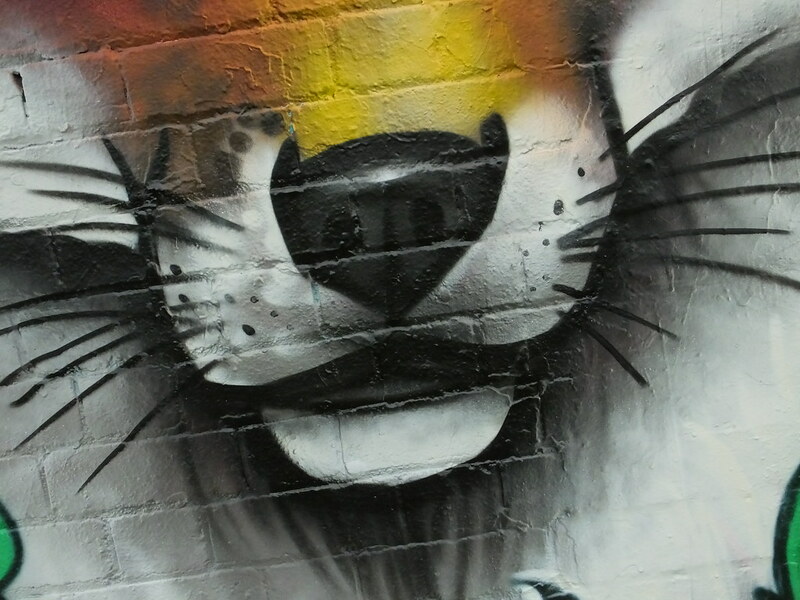 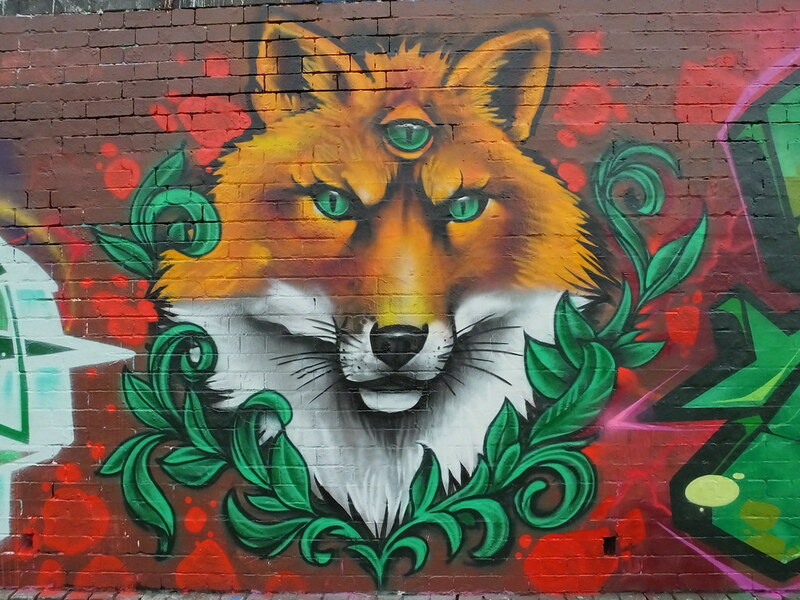 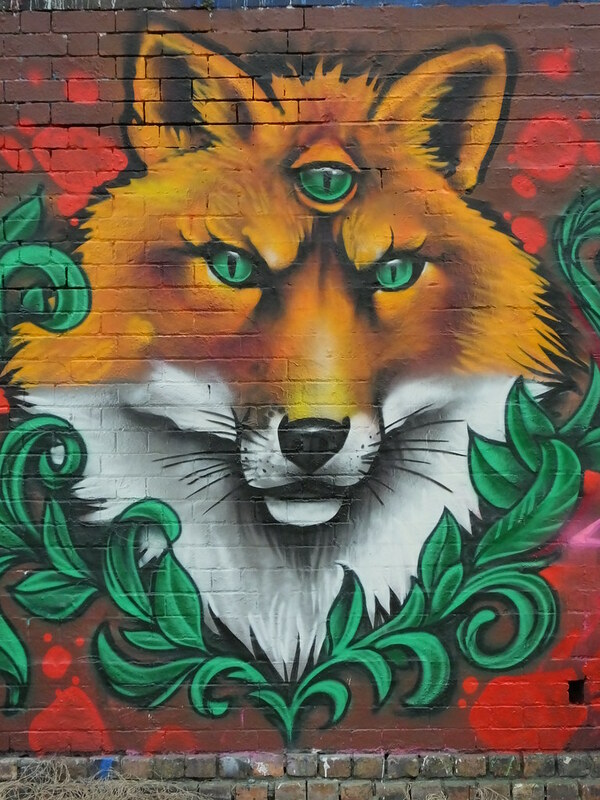 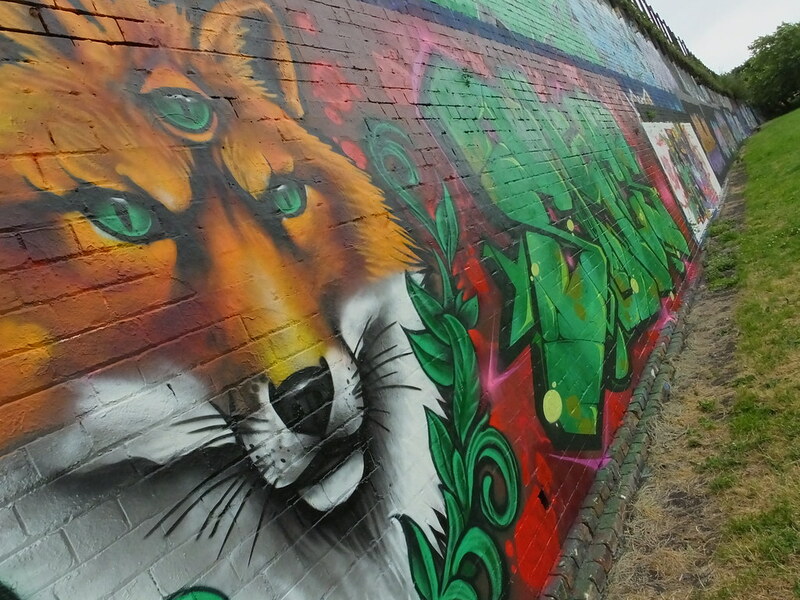 A crafty fox took centre stage on work by Pluzbrut, Somes and some other artist – was Baz tattoo responsbile for this amazing fox? 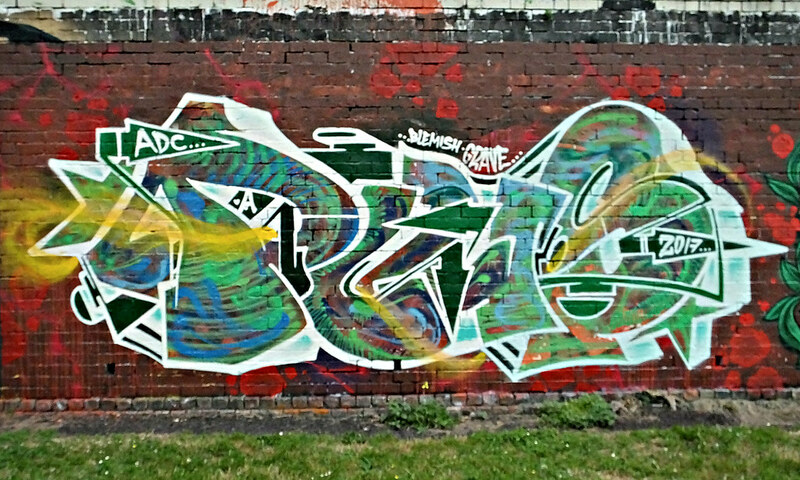 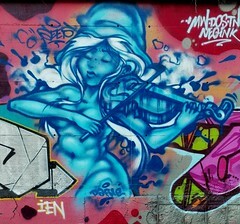 Near this were a few pieces from Resh in his ever sprawling colourful designs. 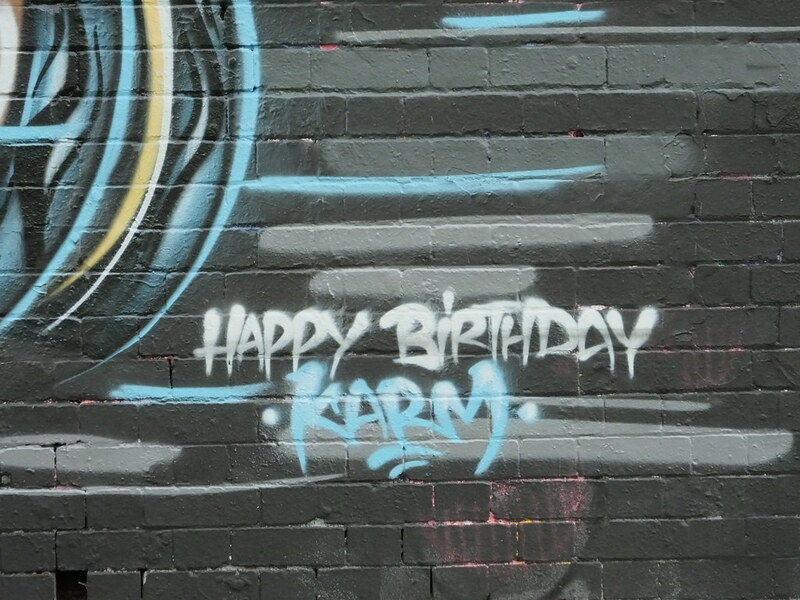 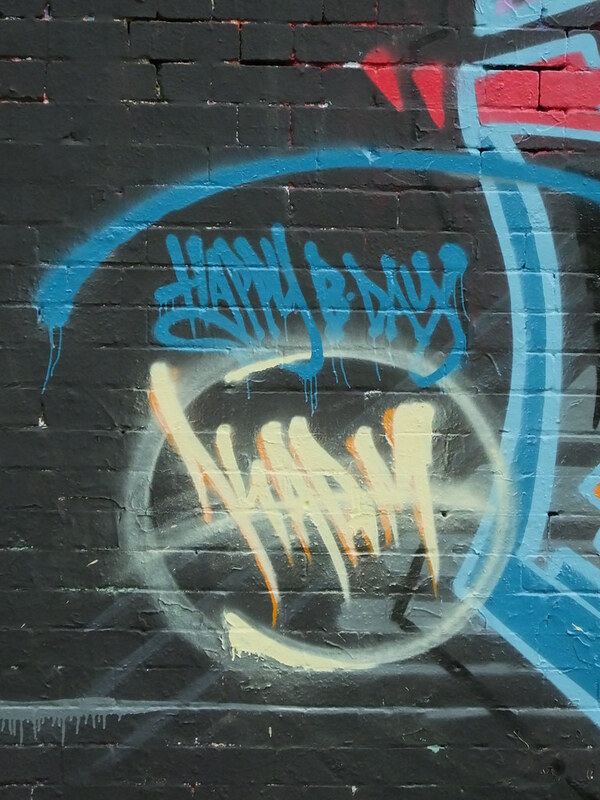 Further along and a section had been blacked out ready for work to help celebrate local artist Karm’s birthday. 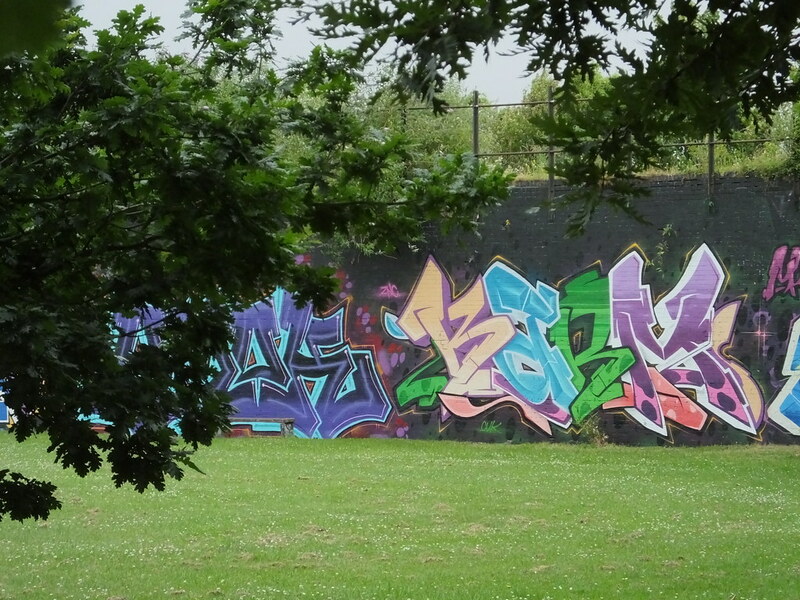 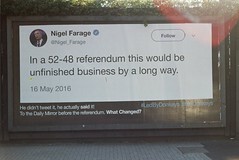 It was exactly 3 years since one of the largest and best pieces of art that has ever appeared anywhere in Cardiff was painted here in Sevenoaks Park. 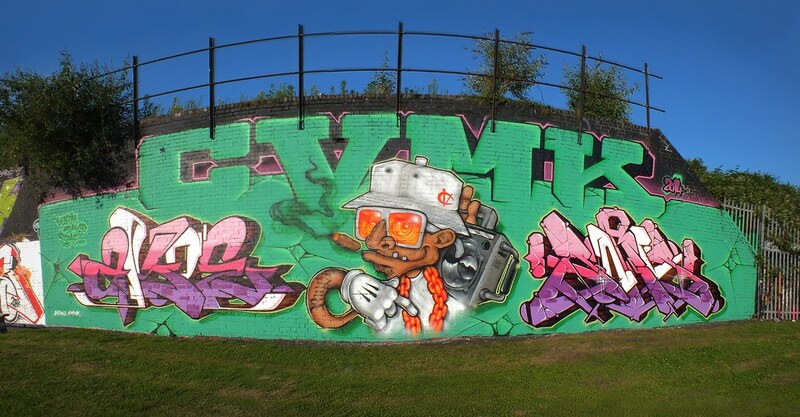 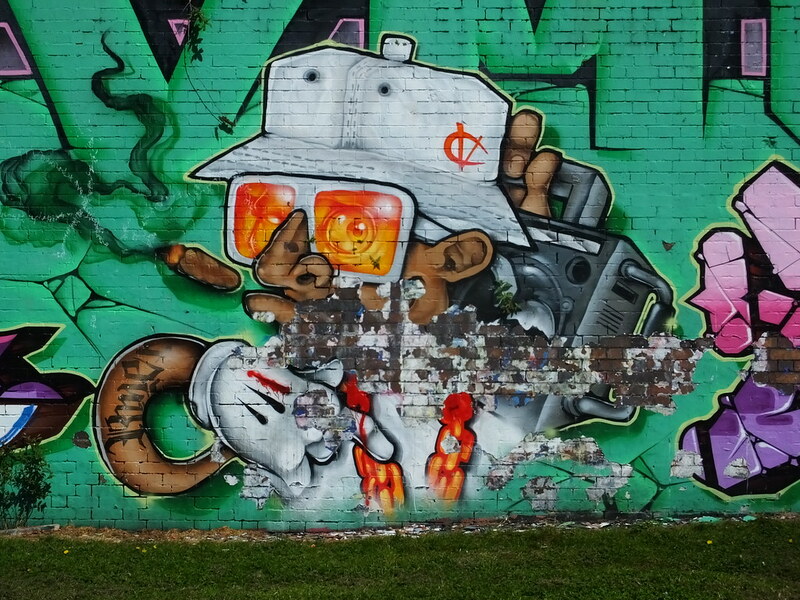 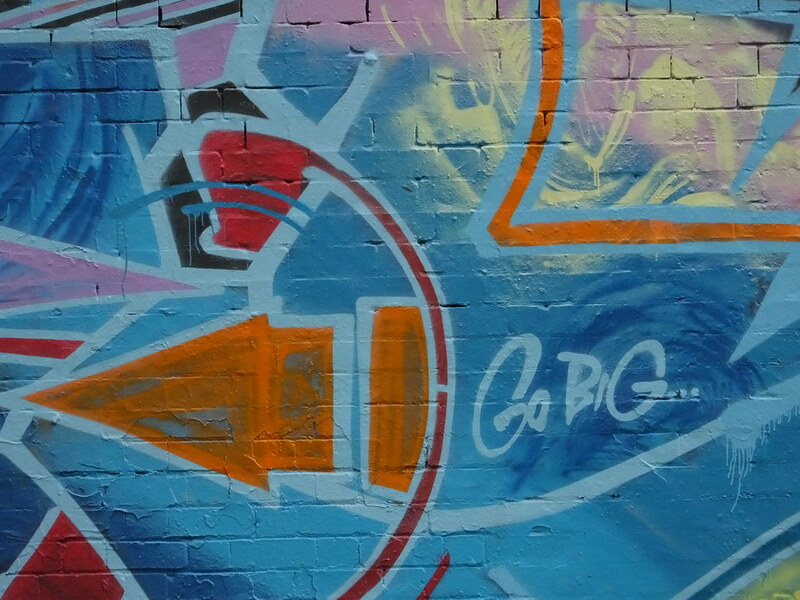 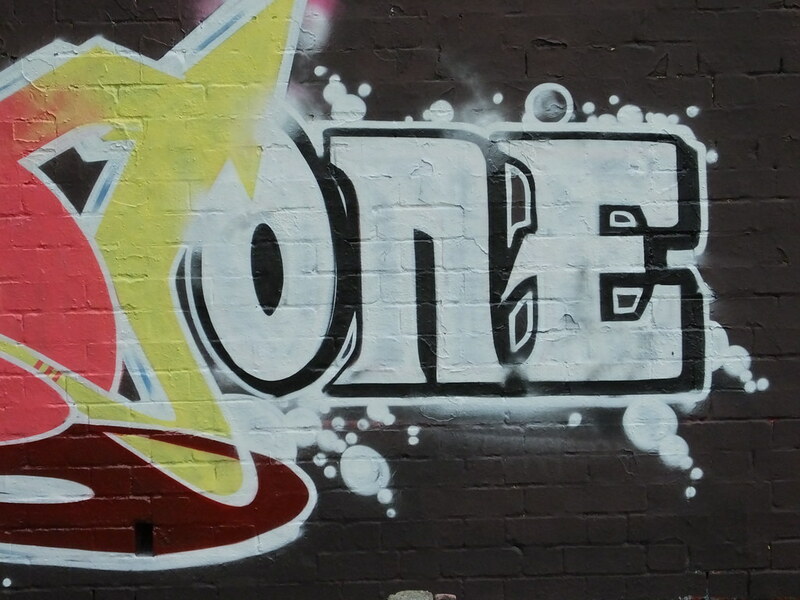 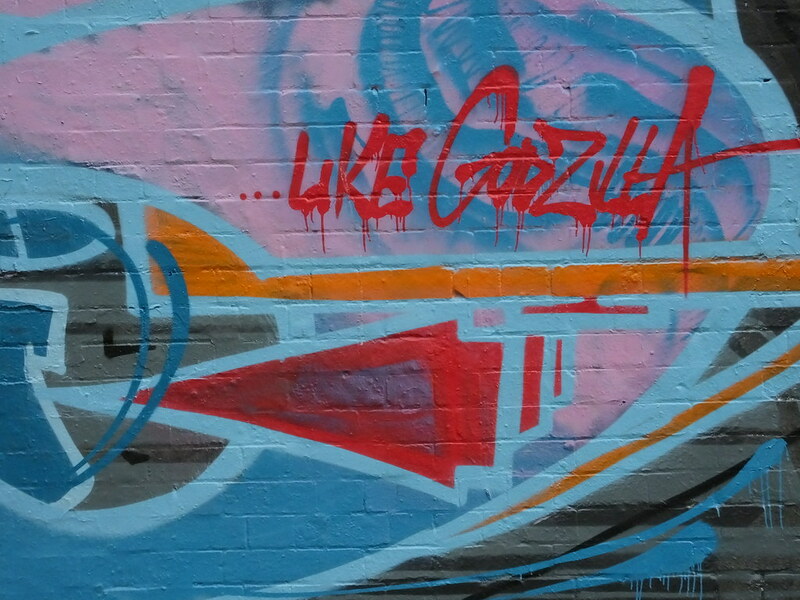 Yes it was 2014 when this amazing work from a combination of the CV and MK crews painted this freestyling B-Boy. 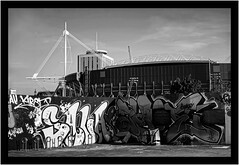 It had done amazingly to survive so long and it was only the elements that have now forced something new to appear in it’s place. 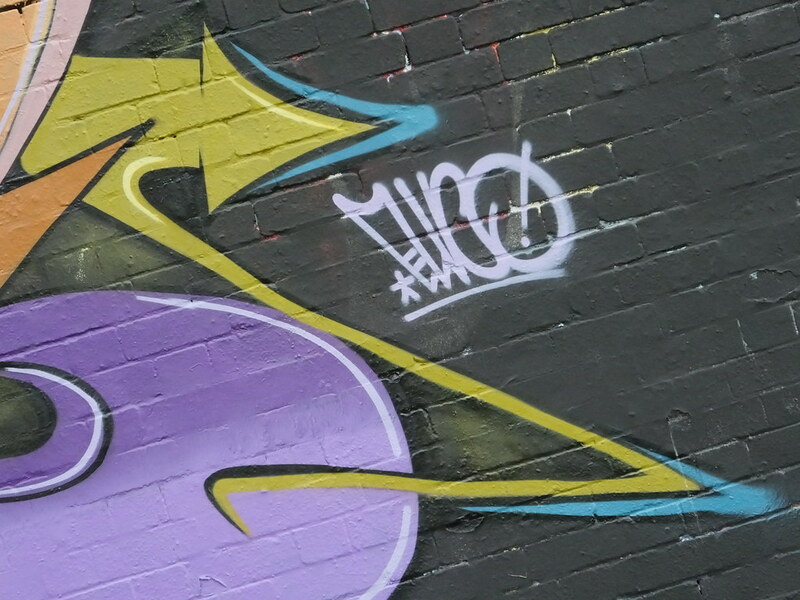 Just look at that weathering in the centre. 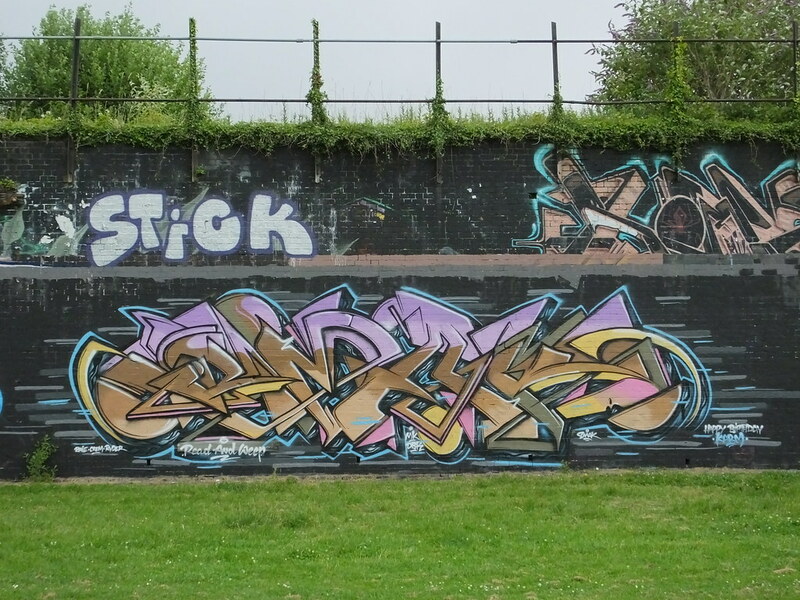 Next Post Rats are back!